Each pair of gold, rose gold and silver cufflinks starts as a bicycle chain. We turn it into a cufflink in our Newcastle workshop, plate it with a thick layer of your choice of precious metal using a proprietary technique. Our silver cufflinks are finished with rhodium to avoid tarnishing so your cycling cufflinks will look good forever. All of our cufflinks are given a professional polish to shine. Each pair of bike chain cufflinks is set with gemstones, and packaged in a wooden cufflink box which is lined with luxurious jacquard material, making it a perfect gift for any cyclist. 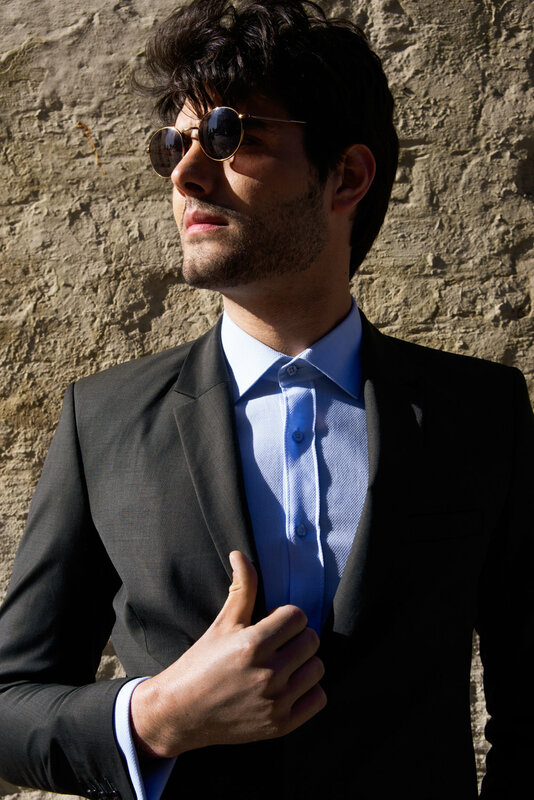 Our rose gold cufflinks add a touch of extravagance to any shirt sleeve, wear them with a dark blue shirt for amazing contrast and a burst of colour. 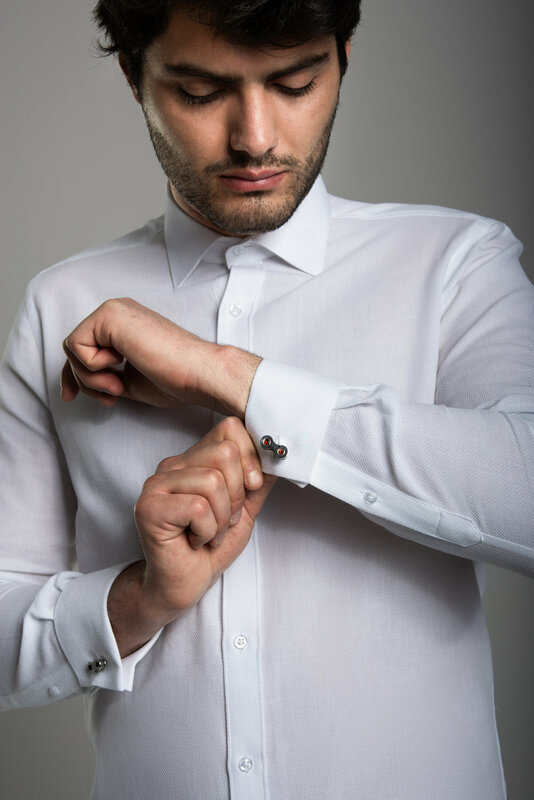 Or accessorise your best work shirt with rose gold cufflinks for a flash of colour which is sure to attract admiration. Wear rose gold cufflinks with pink zirconia for a modern twist. Gold cufflinks give a classic look that works with whatever you're wearing to create a formal and confident style. Our gold cufflinks with golden citrine ooze class, and our gold cufflinks with amethyst are a divine pairing. 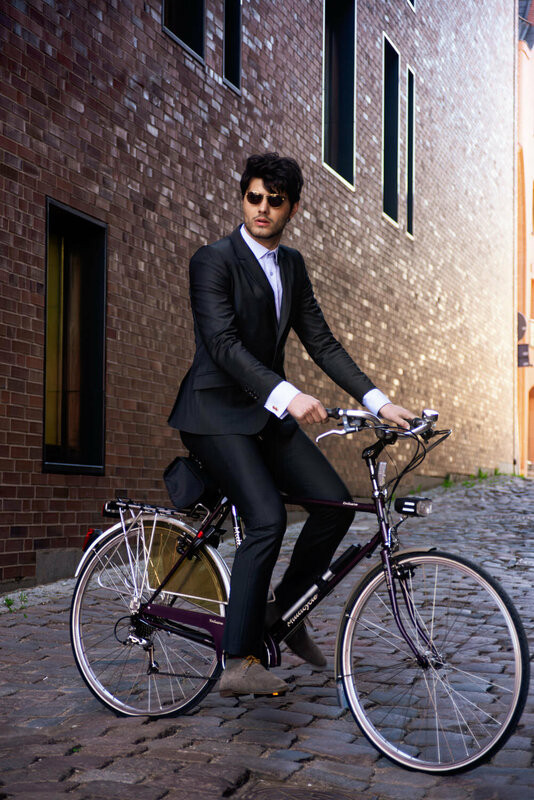 We specialise in double cuff shirts which perfectly suit our bike chain cufflinks. Our double cuff shirts are available for men and women, they are also available in a button cuff option. 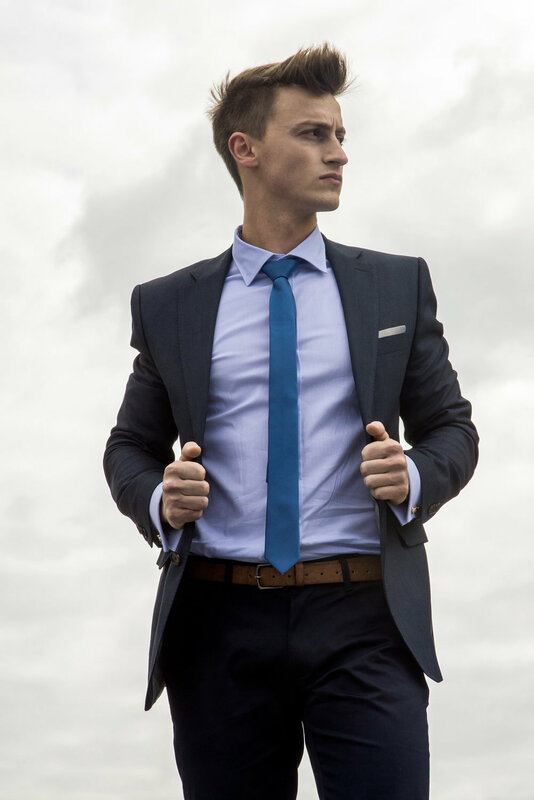 Our shirts let you move more freely, and are better for long days of travelling, working and socialising. They keep their shape and make you feel more stylish and more comfortable because they are ergonomically designed to follow your movements. 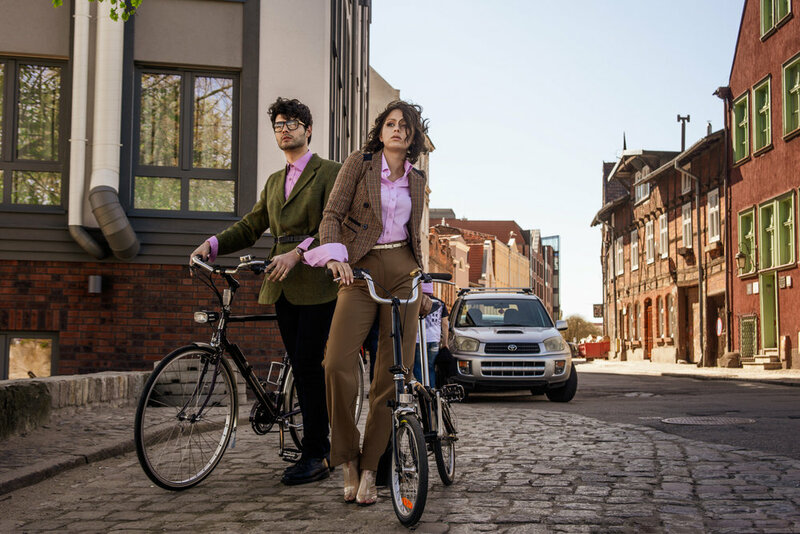 Our women’s shirts are tailored for a flattering shape, and come in a double cuff shirt option so you can accessorise with your choice of cufflinks to add to your unique style. 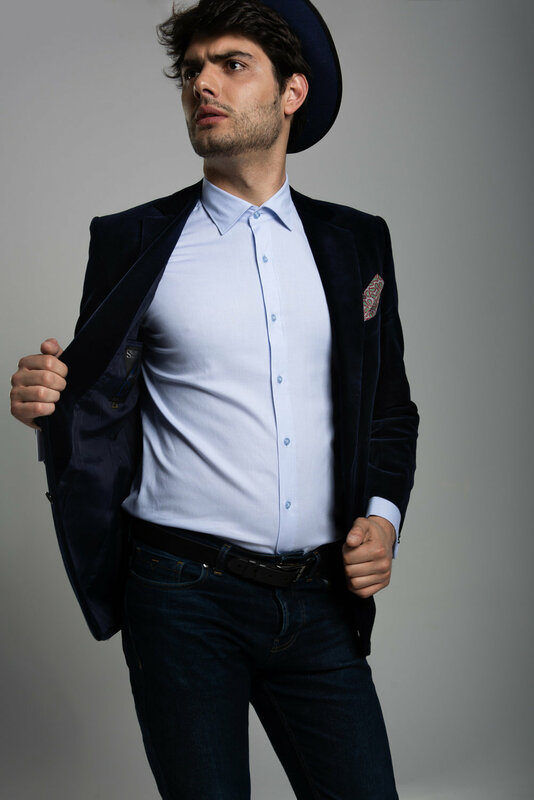 We create our mens and womens shirts with your movement in mind, using a combination of beautiful materials, unique design features, and the highest quality production, to give the perfect contemporary style.